Unemployed, bored and frustrated, Daniel Gonzalez, 24, sought excitement through excessive drinking and taking drugs including Ecstasy, cocaine and amphetamine. After attending a rave party in Hackney, east London, the weekend before the killings, the court was told, Gonzalez took a variety of drugs and ran naked through the street on his return home. On the day of the killings, after taking a train to Worthing, Gonzalez bought a knife and ambushed Mrs. Marie Harding, inflicting deep and fatal wounds in her back and neck as she walked home from her daughter’s home near Brighton. He didn’t like school teachers and she looked like one, he later told the police. In London the next day he stole two kitchen knives from the Oxford Street store of John Lewis, and at 5.20 the following morning he waylaid Mr. Kevin Molloy in Tottenham High Road, using both knives to kill him with stab wounds in the stomach, chest, neck and face. Shortly before 7 a.m. he forced his way into the home of the Hornsey victim, stabbing him in the chest and arm, before going to Highgate and killing Dr. and Mrs. Robinson an hour later. 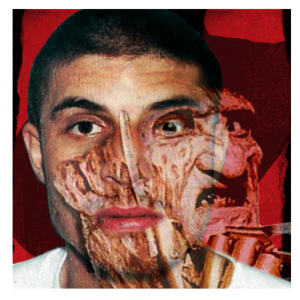 When the trial continued the next day the court heard that Gonzalez had told the police of his obsession with Freddy Krueger, a character in the film A Nightmare on Elm Street who kills his victims with a glove bristling with knives.